Life gets busy. We sometimes forget why we create or what value it provides in our lives. At Lillstreet, our entire purpose is to provide the space, time, and community for people to create on a regular basis. 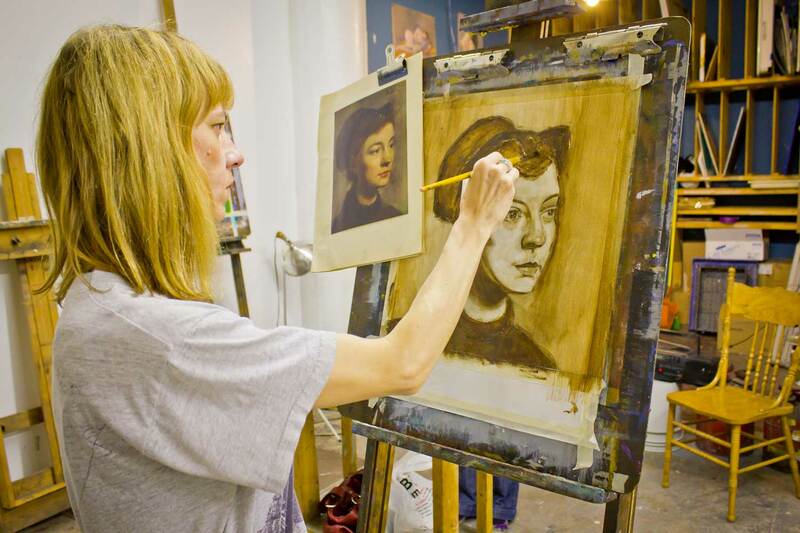 Whether you're a first-time artist, or an expert, there are endless benefits to continually pursuing your inner artist. Below are just seven examples. There isn't a manual to being an artist, and there isn't a manual for being alive. Obstacles and challenges throughout life are inevitable. However, when we make creativity a habit, we continue to learn new, resourceful ways of solving problems in our artwork, and in life. When we create, we connect to other people doing the same and an instant sense of community is formed. Whether we're exchanging ideas, providing feedback for our peers, or simply creating next to eachother in silence, the sense of connection experienced as artists is undeniable and deeply rewarding. Expressing ourselves can control the urge to buy impulsively. If we trade the activity of consuming for creating, we not only save money, but get a deeper sense of fulfillment. Additionally, the more we learn how to make things ourselves, the less we need to spend money on buying them. Countless artists have discussed the experience of timelessness that one encounters in the creative zone. Time feels limitless when we are in the creative ‘zone.’ Strangely enough, when we give ourselves time to creative pursuits, we gain time. Who couldn’t use the feeling of more time? Creativity is the route to authenticity. As we create, we plumb the depths of our being, accessing what we think and believe. The more we create, the more we discover and realize our habits, impulses, and desires. When we take the time and energy to develop our own ideas, we respect our inner nature and are better able to express ourselves to the world on a regular basis. There is no right or wrong way to be an artist. When we create, we are given the opportunity to engage with the world without judging ourselves. We have permission to take risks, try new things, and strip away inhibitions in a healthy way. Making art is meditative. Taking the time to use our hands, minds, and energy doing something we love is of uptmost importance in life. Being creative makes us happy. Art is FUN, and doing anything that brings joy reduces our stress levels and improves our quality of life. What could be more important than that? Adapted from "Creativity: Why Bother? 10 Benefits of Expressing Your Creativity"